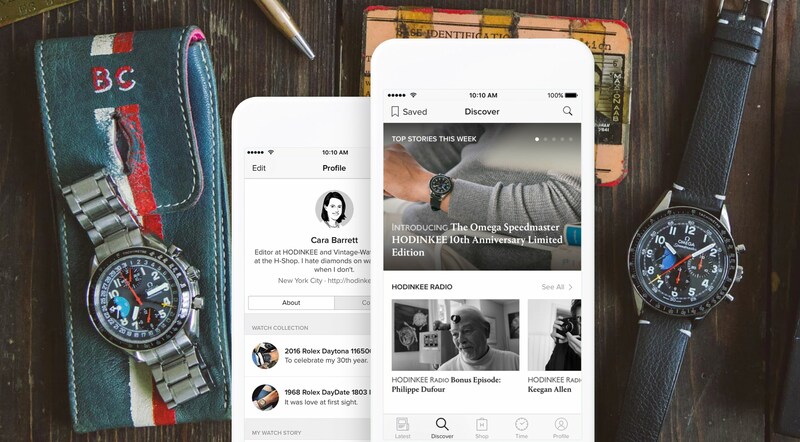 Hodinkee — Building the premiere global lifestyle brand for watch collectors and luxury enthusiasts. 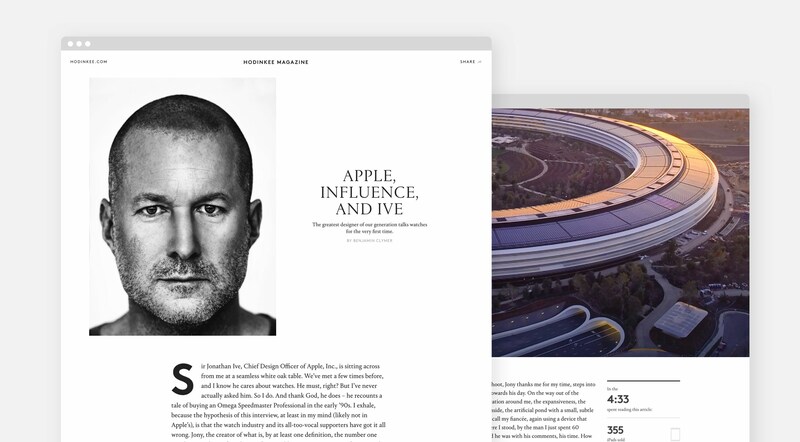 As Design Director, I led a team of designers and engineers to create compelling consumer-facing and internal web and iOS products for our editorial and e-commerce businesses. I established agile design and engineering processes, as well as played a key role in the development of an empathetic, user-focused, design-led company culture. I led cross-functional design and engineering teams to take products from ideas to production with support from editorial, shop & marketing departments. 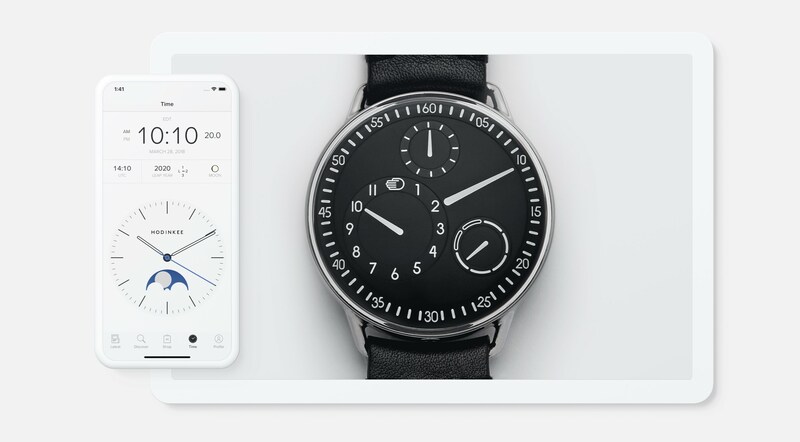 Additionally, I creative directed our e-commerce content, as well as oversaw and executed on our industrial design and print design efforts – including limited edition watches, in-house packaging and our bi-annual print publication, the Hodinkee magazine. 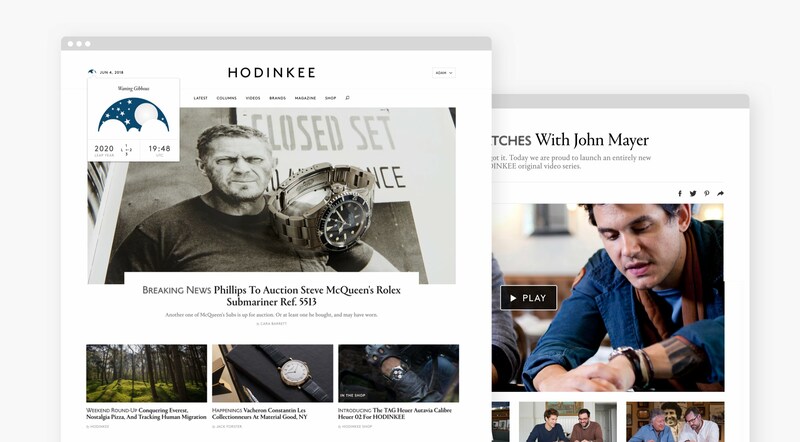 Hodinkee Shop — Building one of the first authorized retailers of luxury watches online. 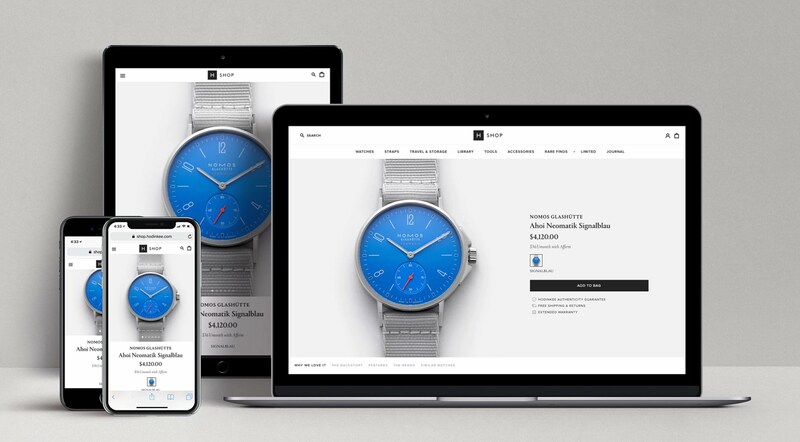 Collaborating closely with our design, engineering, editorial, shop & marketing teams, I spearheaded the build out of our e-commerce business, and led Hodinkee into becoming one of the first authorized retailers of watches online. I played a key role in helping to define business strategy, providing product and technical leadership in all aspects of the business, as well as collaborating with leadership on product vision, strategy and roadmap. 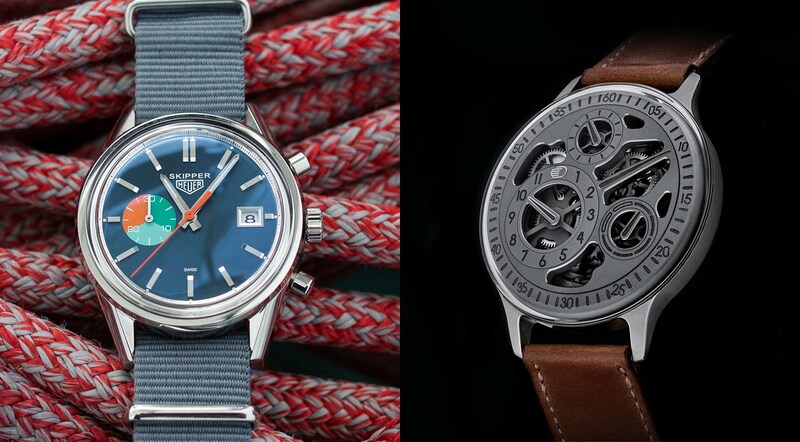 I also creative directed a team of photographers and art directors to execute on all our in-house shop product and marketing photography and videos. 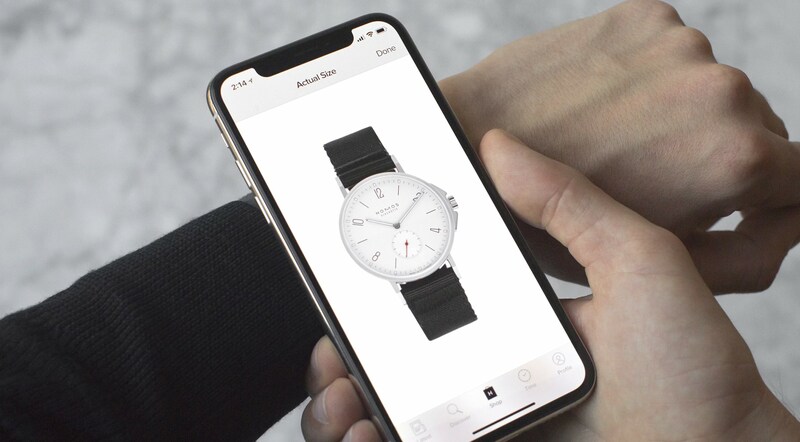 I designed the entire web and iOS experience, as well as helped develop our product packaging, several limited edition products and various marketing materials – all through the lens of extending the Hodinkee brand. Zoom, Enhance! — Zoom. Gif. Repeat. 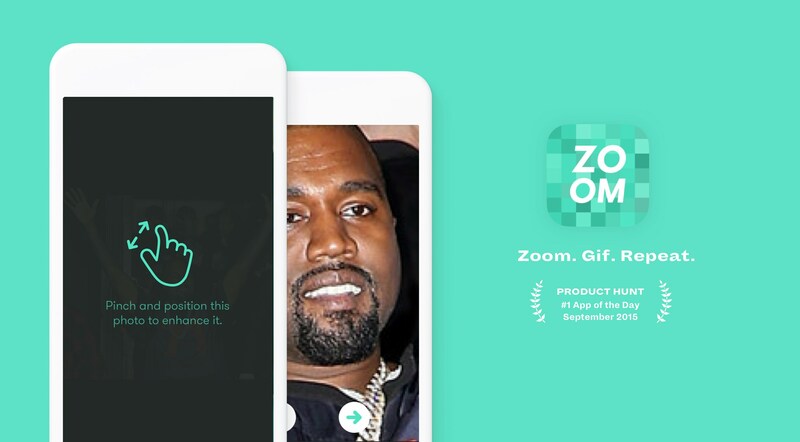 Share incredibly addictive animated zooming gifs. There comes a time in everyone's life, a time when you notice something. Something strange about the photo you are looking at. "Wait, what.... what is that!" You noticed "it". The feeling of discovery hits you. It's hard for people to describe this "it". But one thing is always the same. You need to Zoom... Enhance... on it. Zoom, Enhance! is a simple iOS app that I designed with my long-time collaborator, Jeff Hodsdon, that allows you to share zooming gifs of photos. Just choose a photo, zoom in on it, and share a zooming gif. 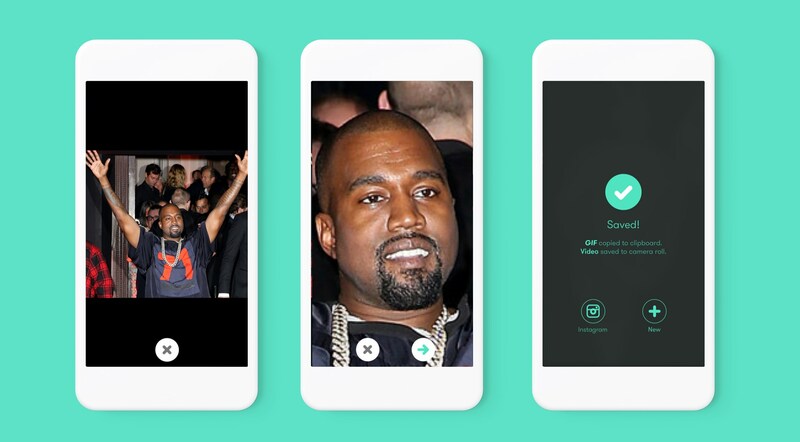 This highly fun app went viral for a short period of time, getting 100,000+ downloads in just a few months. Resy — Right this way. Access to a curated selection of the best restaurants in your city. Want a table tonight at Minetta Tavern at 8pm? With Resy, you can. 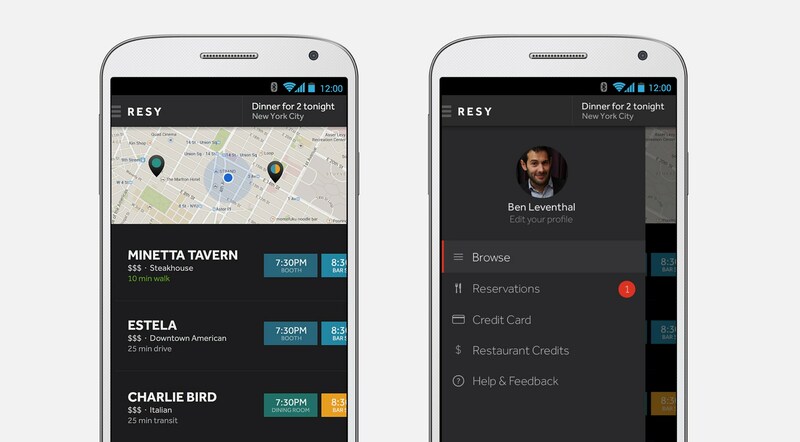 Resy is an iPhone and Android app that makes getting the best reservations at the best tables in the city easy. This project is a collaboration between Gary Vaynerchuk (Vayner RSE) and Ben Leventhal (eater.com). 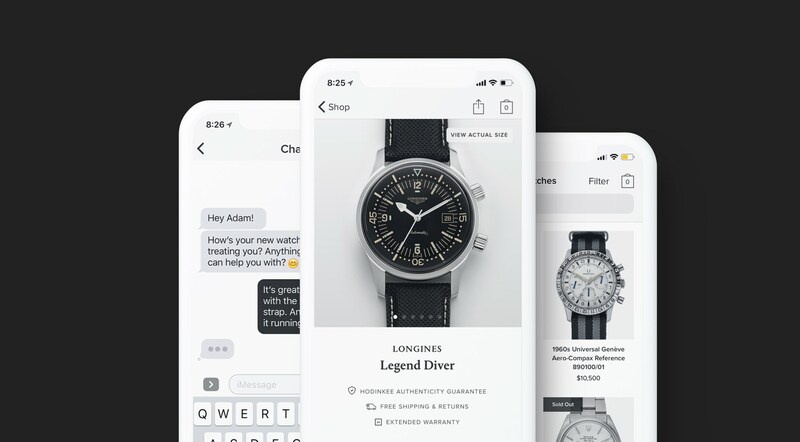 I was contracted as Design Lead and tasked with taking their spark of an idea into a super easy-to-use, beautiful app. 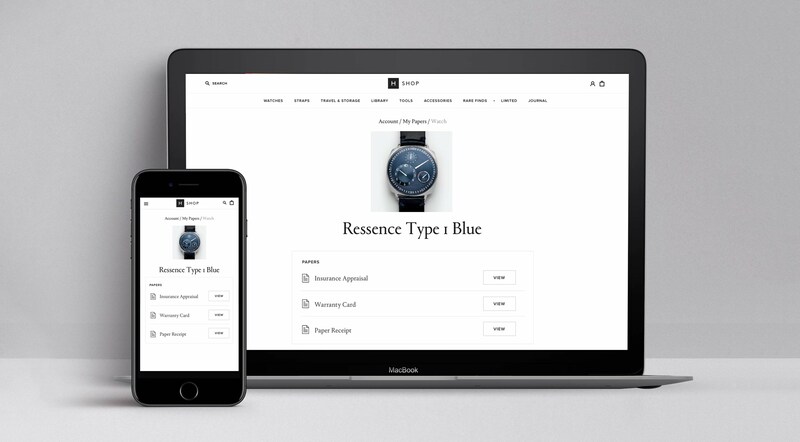 We launched in under 2 months. 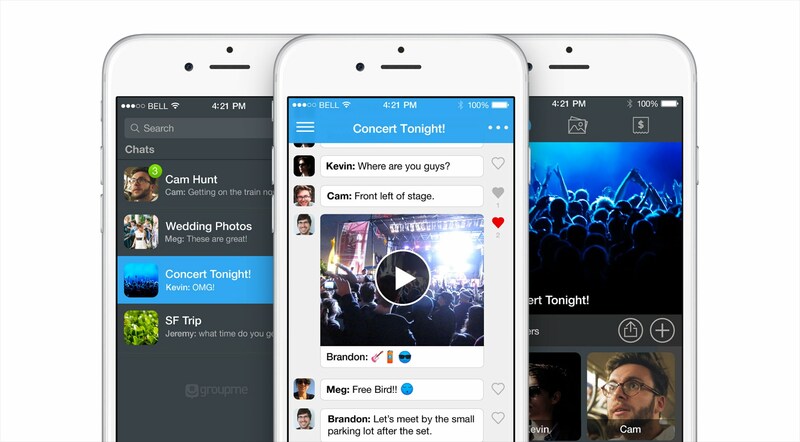 GroupMe — The best way to chat with everyone you know, available on every platform. 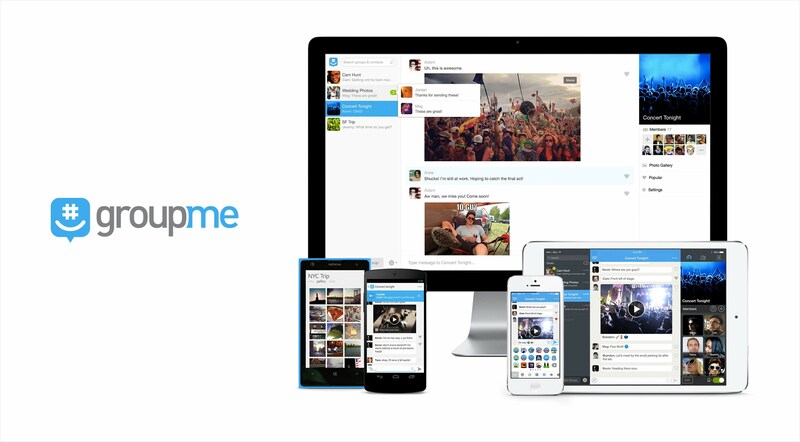 GroupMe is a multi-platform messenger that was acquired by Skype in 2011. 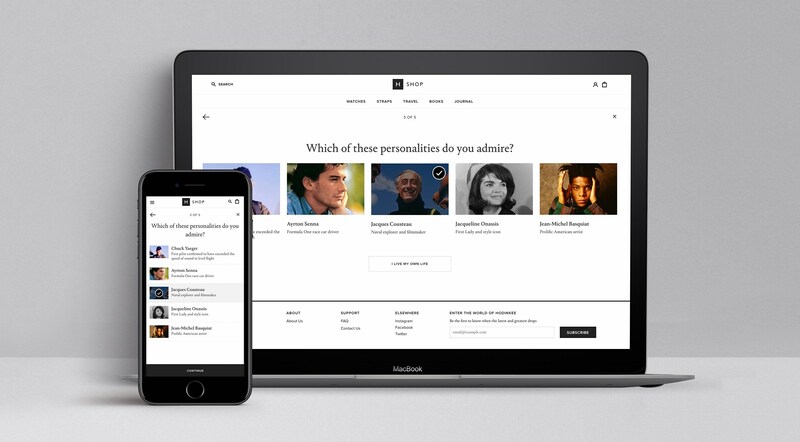 As a design lead, I helped craft a consistent experience across a number of platforms, including iOS, Android, Windows Phone and Web. I also helped art direct and introduce custom GroupMe emoji into the app. 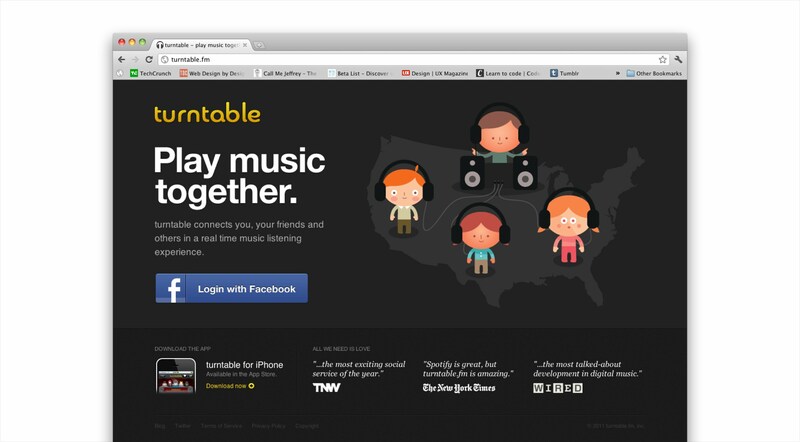 Turntable.fm — Play music together. An interactive way to listen to music with friends. 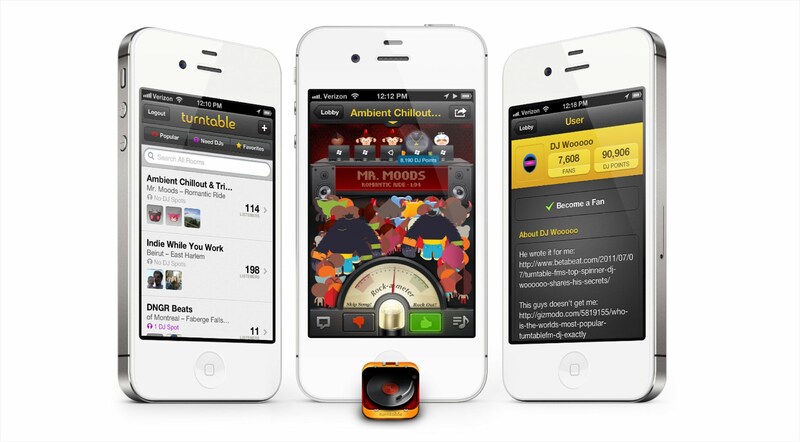 Turntable.fm was an internet radio and social network available for Web and iOS from 2011-2013. As the sole Product Designer, I designed everything from UI, UX and Product to marketing collateral and helping produce events. The last project I led was translating the Turntable.fm addictive web experience to an iOS app. 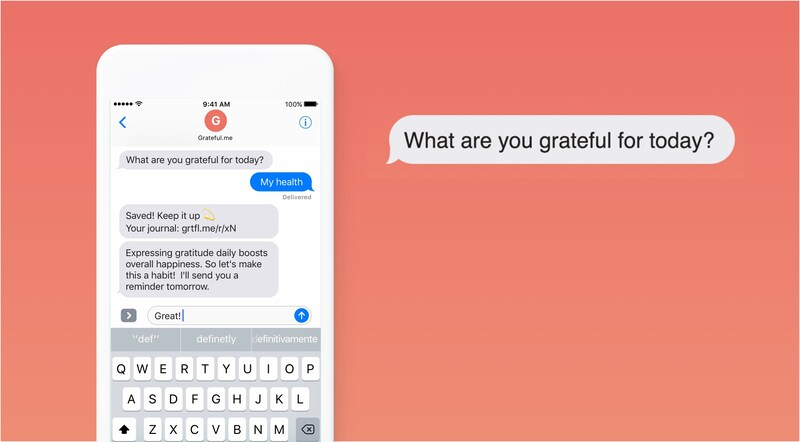 Grateful.me — An SMS-based Gratitude Journal designed to make you happier, everyday. 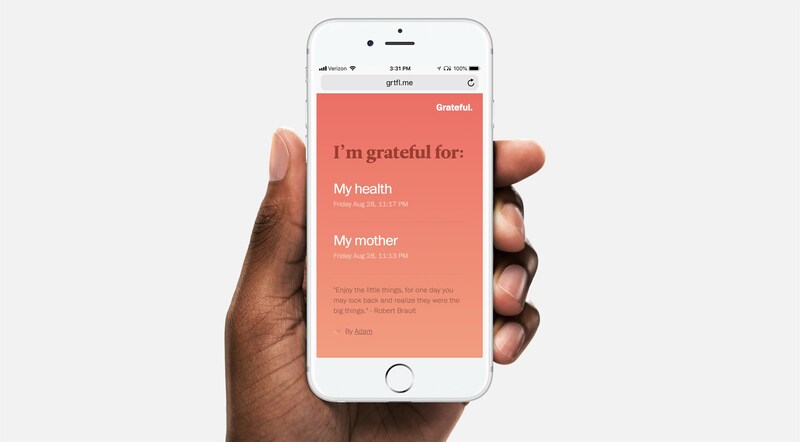 Studies show that gratitude exercises (like keeping a daily gratitude journal) can reduce stress levels and gave people a greater sense of calm at night. In an effort to teach myself how to code using Ruby on Rails, I built a free, SMS-based gratitude journal service using Twilio. The service texts me once a day with a simple question: "What are you grateful for today?". My response would be recorded to my private gratitude journal, which I could recall with SMS commands. I ended up shipping this to a small group of friends, which was highly received.